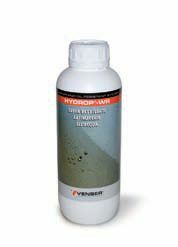 Impregnating product stain, water and oil resistant, water based for internal use. It does not form a surface film. It gives a wet effect. Wall and floor treatment for various kinds of materials such as concrete, stones, marbles, terracotta, tiles, tuff, carparo, plaster, lime stone, etc..
Water-based product, it does not smell bad so it can be applied inside and on damp substrates, too.